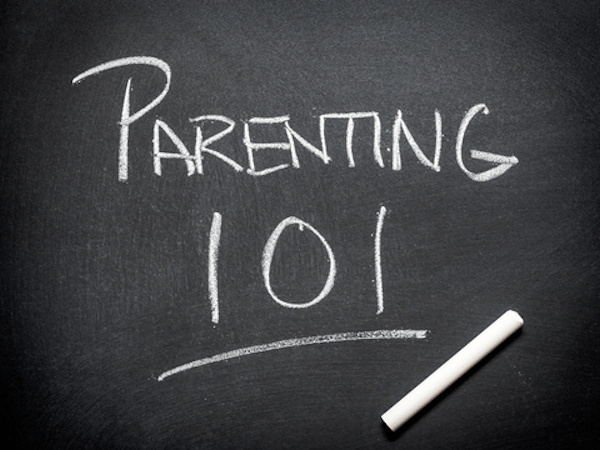 10 things I said I’d never do as a parent…..
10 things I said my kids or I would never do………. I do have to laugh at how naive I was, right up until quite recently. I was determined that my kids wouldn’t do some of the things I’ve let them do over time. 1. I’ll never leave the house without make-up on or my hair done. Oh how naive that was. With three kids, none of whom want to get up on a school day any more, it doesn’t matter what time of day I get up – there never seems to be time for me to get ready. Yes – there really are days that I do the school run with may hair not even brushed, let alone wearing make up and styled hair…..
2. My kids will never misbehave in public or in a restaurant. Hahahahaha, who was I kidding. As much as I’d like to have three poker straight, beautifully dictioned kids with respect for everyone, three ADHD kids sitting together is a recipe for disaster. We’ve had screaming abdabs, full tantrums and not always in a shop either. I did stick to my guns on the not buying them what they want as an excuse to keep the peace, but that did lead to some spectacular store incidents with other shoppers tut tutting into their sleeves. 3. My kids won’t eat crap or fast food. Hey, who am I to judge if crap or fast food gets the kids to behave in public. There comes a point that I’ll do almost anything for a bit of peace and if a bar of chocolate means I get to do the big monthly shop with three quiet kids in tow, I’m not going to complain. A bit of fast food did nobody any harm and I cringe now to see kids who NEVER get anything of a treat. Watching the other kids in my boys years at school, I’ve learned that while they are little, kids might kow tow to it, they tend to break out and want it even more when they get older and are no longer under mum and dads beady eye. I’m all for moderation now, but before my kids hit the near double figures in years, I was a sanctimonious witch. 4. My kids will do as they’re told, first time, or else. Almost everyone with more than one kid will relate to this one being a complete load of codswallop. The teen needs about a million and five tellings to get up in the morning, and there’s a full negotiation in force to decide what time they have to come in if they’ve been out playing. Who knew that negotiation was a far better skill than just being browbeaten into submission pre kids? 5. My kids won’t watch TV. In my naivety, I used to say this all the time as a young adult. Now, I only wish I could get mine TO watch TV. Mine have never done it and although I got my youthful wish and desire on this one, I also NEVER EVER got any free time during the time any of my kids were present. Now, I’d say rock the TV, it makes a great babysitter so you can do housework if kids will watch it, and apparently almost everyone else’s kids do like it. 6. My kids won’t have a mobile phone till they’re about 12. Oh my god, what a load of piffle this is. It dawned on me quite early on that kids need freedom. Who knew that they’d want to go out to play minus their parents, ever!!! It got to the point that I couldn’t see the point in holding myself to this ridiculous rule after watching how parents of older children called it. Their sometimes 5 – 12 year olds disappeared after school and were never to be seen for hours on end, while streams of mums walked, run or drove the streets hunting down their little cherubs for supper. Come the magic age of 12, they suddenly have a mobile phone and have to check in or be at the end of the phone for every beck and call of mum and dad. That’s just bonkers. Nobody is saying kids must have a smartphone, but an old fashioned call maker is a good peace of mind bit of kit at any age when they’re out on their own. 7. I will never shout at my kids. I think I lasted two days on this one. The two year old broke away from the buggy and headed towards a busy road. I bawled at the top of my voice, hanging onto the buggy with one child still in it for dear life and reaching for the escaping bullet. 8. My house will be immaculate and my kids will always be perfectly turned out. From the outset, three kids under 4 and food money to be made scuppered this one almost instantly. The nice tidy house looks permanently like a bomb has hit it, no matter how much it gets tidied and cleaned. Middler with the special needs has a tendency to race around the house at top speed, gather bits and bobs to him like a magnet on fire, and drop them randomly around the house as he goes. 9. I will protect my kids from the Internet. Mwahahahahah. Impossible. Kids from the age of 8ish or more can get round any parental control you can think of setting if they really want to. You might think they don’t watch those 18 movies, or play those killing games, but rest assured, that someone else’s mum will make sure that your cherub has access to more junk and violence than you can probably even imagine as an adult. I’ve written about this a lot. It will depend on the nature of the child as to what they decide to take on board or act out on, but they’ll all get access in some shape or form – whether we like it or not, so start the conversations at age appropriate levels early on. 10. My kids will trust me and never lie or steal. I was cuckoo, really I was. Some kids might not, but I’ve learned over time that almost ALL kids lie, steal or manipulate at some point. We might never know, or we might catch them and nip it in the bud, but it’s not the end of the world. For most kids, it just needs a chat about why it’s wrong and then move on, but for others it can be a bigger problem. As for lying, well we all do that, don’t we? There surely can’t be a person alive who has told the truth about everything their whole lives. It’s only natural for kids to try and work out what is an acceptable lie and what isn’t. Lol, days out are the hardest if we try to stick to pre-made rules. Like the song says, “let it go” is probably the best thing I ever learned. …I have broken all of these save 5 and 6…I have 1 1 year old…massive parenting fail so well done fir your efforts! I think we all start off with good intentions and for most of us they fly out the window again very fast for many of us lol. 5 is an issue here too. I SOOO want mine to watch TV. The sleep……. The lack of it……….. How I envy parents with kids who sleep…….